The Google Search Engine finds answer to our questions, which is helpful in our daily lives. You can search for your school assignments, reports, presentations and more. In other words, we can use Google Dorks to find vulnerabilities, hidden information and access pages on certain websites. Because Google has a searching algorithm and indexes most websites, it can be useful to a hacker to find vulnerabilities on the target. For example, this operator_name:keyword syntax can be typed as ‘filetype:xls intext:username’ in the standard search box, which results in a list of Excel files which we contain the term ‘Username’. What Data Can We Find Using Google Dorks? Google Dorks can also be used for network mapping; we’re able to find the subdomain of the target site using Simple Dorks. 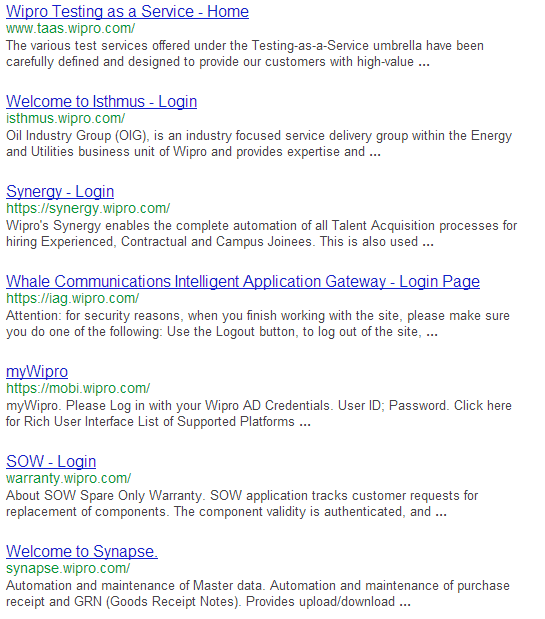 Try wipro.com to scan and we find some of the subdomains using the master website. We see other login pages and other system administrators/webmasters are using the subdomains for login pages. Based on the results, it’s not fully secured. 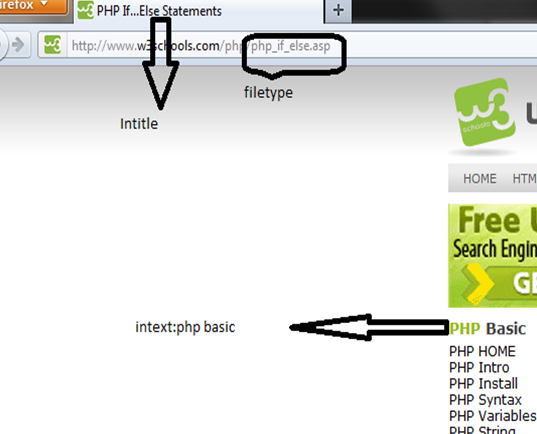 That’s why the site mapping in Google Dorks is good. How about a port scanning? Available ports for intrusion and open ports? Can Google Dorks find it? We use port 8443 and it’s open; we find some websites enable port 8443. 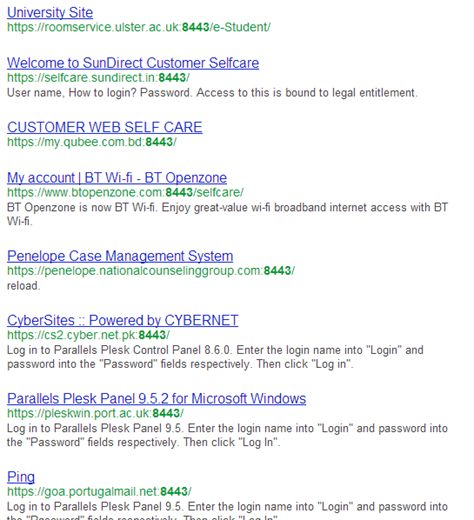 The queries above search websites using port 8443. In this article, we presented a few uses of Google Dorks for testing our own website. We found out if it was searchable on Google and leaking confidential information. can u please teach me how to get those dorks ? ?